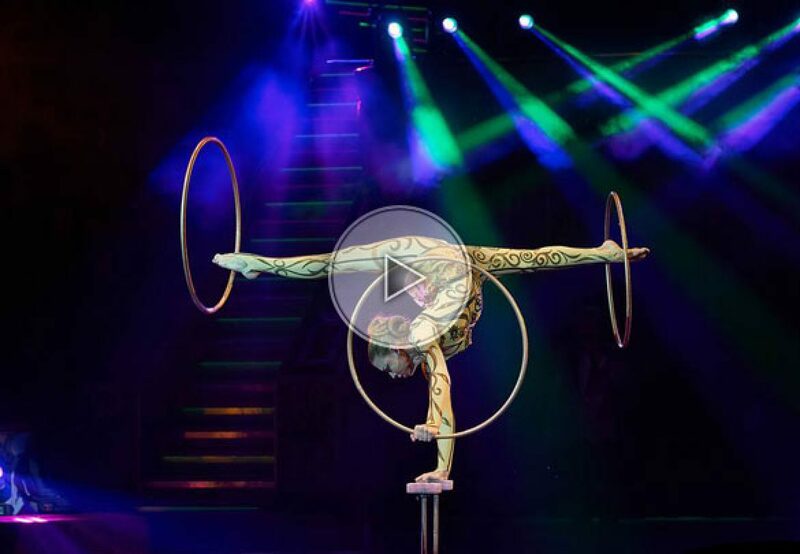 An elegant association between equilibrium, contortion and the hula-hoop. This young artist gives a very nice performance using her body to make the hula-hoop turn around while she is doing handstand. An incredible show.